HOUSTON - One person was injured after an officer-involved shooting in the Third Ward, Houston police said. The shooting was reported around 10:15 a.m. Saturday in the 2600 block of Alabama Street, near Nagle Street. Shelldrix Middleton, 17, is charged with unlawful carrying of a weapon and evading arrest. Investigators said they were working an area where complaints had been raised about gang activity. While there, police said they noticed a group of people loitering in a store parking lot. When officers approached a car with one man inside the car and another person outside, Middleton, who was standing outside the car, took off running, officials said. An officer began to chase Middleton on foot, while another officer chased him in a vehicle. Police said Middleton ran into a vacant lot in the 26000 block of Alabama, and while holding a pistol ran toward the officer. The sergeant, who was still inside the police cruiser, fired his weapon twice, striking the teen in the leg. The teen, identified as a high school student, was taken to Ben Taub Hospital with an injury that was not life-threatening, police said. Police said Middleton's weapon was recovered at the scene. The officer who fired his weapon, Sergeant J. Sneed, was not injured. Sneed was sworn in as an HPD officer in November 2006 and is assigned to the Gang Division Crime Reduction Unit. 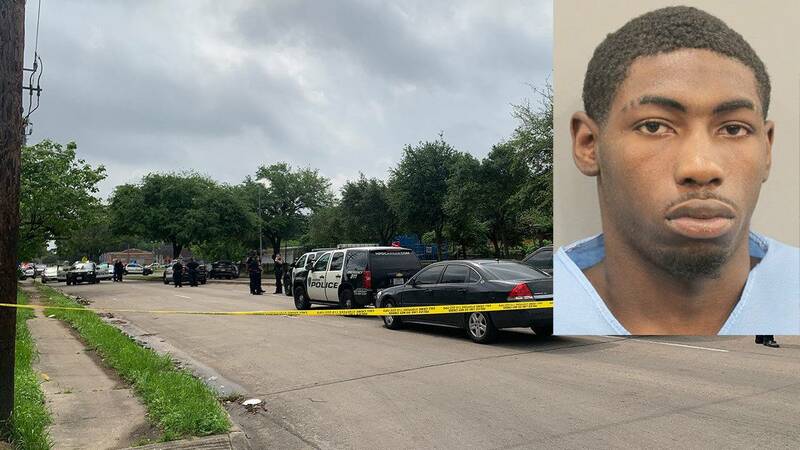 HPD Homicide Division Special Investigations Unit, the Internal Affairs Division and the Harris County District Attorney's Office are investigating, as is standard procedure for officer-involved shootings.